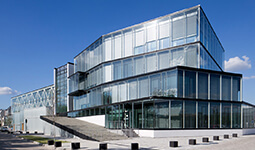 Modern institutions require high quality maintenance, especially when it comes to equipment and estimation of available resources. Staff are often involved into searching for assets around a facility, which is time-consuming and generates additional costs. 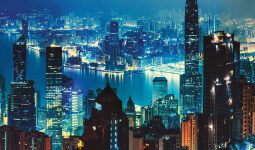 Asset tracking enables the real-time identification of equipment and devices, resolving staff problems simultaneously. 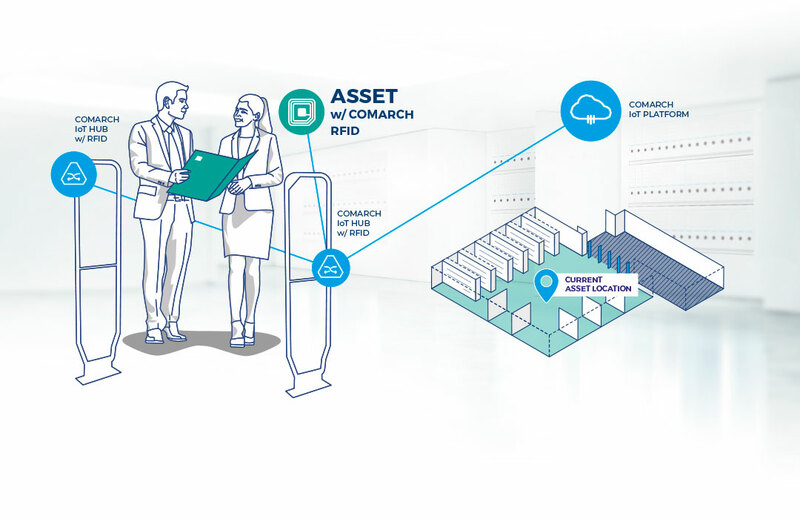 The solution is available in two complementary systems: with Comarch Beacon and with Comarch RFID. Each one finds application in various sectors and institutions, contributing to cost reduction, efficiency improvement and process optimization. 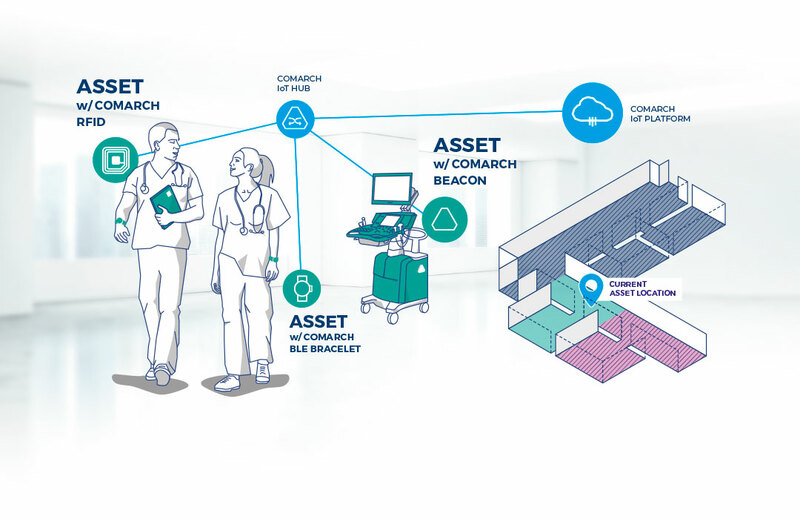 Comarch Asset Tracking enables real-time staff and patient localization. The solution gives continuous data about a patient’s current condition, and sends an alert if they faint or fall. Relatives visiting patients can use their devices to navigate to the bedside instead of having to ask personnel for directions. 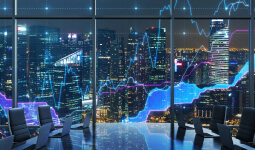 The tracking system reorganizes asset management and provides data to indicate deficits in asset demand, drug expiration dates and the location of expensive resources or medication. Applying asset tracking to the surgical instrument system ensures the completeness of any set of instruments and valid sterilization dates. 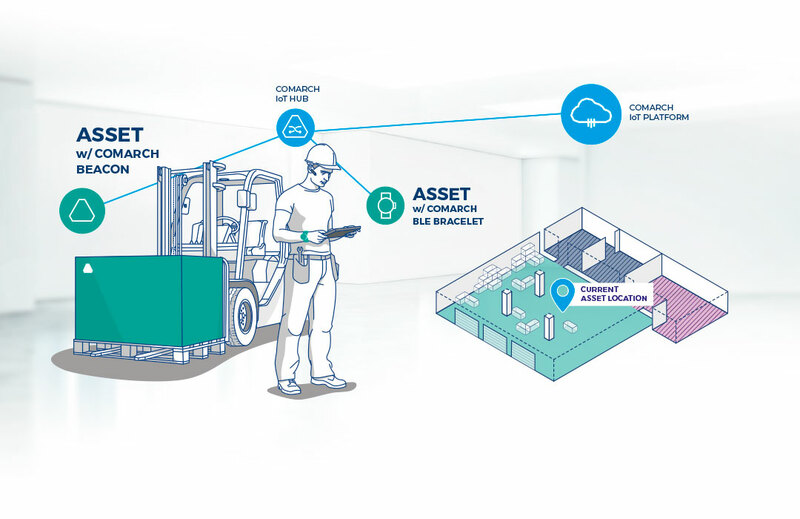 Comarch Asset Tracking has a wide range of applications in warehouses and logistics networks. As soon as a vehicle crosses warehouse entrance, the transported load is identified and placed on the right platform. The same recognition procedure applies to human resources and stillage. Forklift trucks driving around the facility are marked and directed to ensure that each follows designated routes and comply with safety rules. 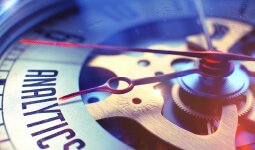 Internal navigation provides data about current inventory and stock location, to shorten the searching process and make sure that assets are placed in the intended sector. 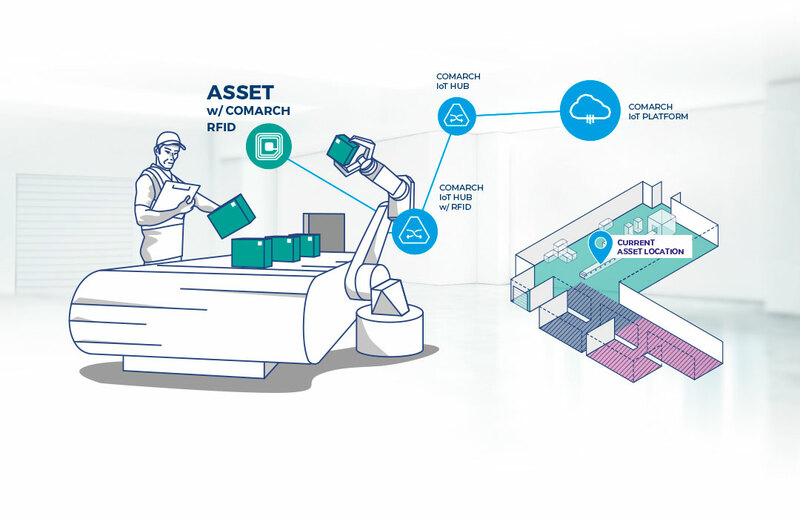 Comarch Asset Tracking increases control over manufacturing process and reduces workload by automatic and reliable identification of objects during all production phazes. A production line requires complex monitoring for the detection of potential errors and to ensure that the entire process is completed in line with quality requirements. Workers are an inseparable part of the production system, and those who are assigned to specific tools are monitored to prevent any loss or undesirable tool exchange between them. Assets such as documents, papers and books require proper organization and labeling. Comarch Asset Tracking collects actual data on owned assets and organizes the flow of books or documents. This information allows files to be cataloged and prevents them from being stolen or lost. Implementation of asset tracking in libraries significantly improves the borrowing/ returning process to shorten the waiting time, minimizing the need for human interaction thanks to self-service posts monitored by the tracking system. Comarch Asset Tracking is a comprehensive solution provided in SaaS (software as a service) or deployment model. 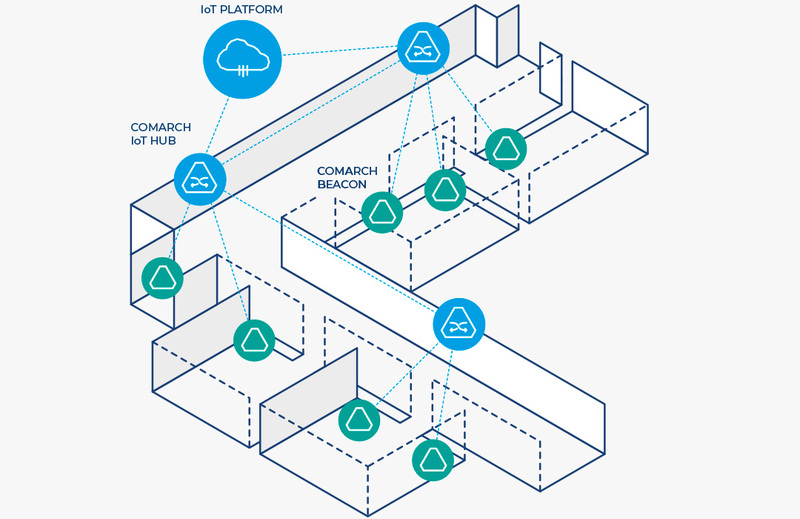 It is composed of transmitters (Comarch Beacons, BLE bracelets and RFID tags) and receivers (IoT Hubs) connected to a cloud database (IoT Platform). Transmitters are installed on tracked objects. Location information is collected by IoT Hubs installed in crucial places such as rooms, corridors and storage locations. After the IoT Hub transfers the data to the IoT Platform, that information becomes accessible online via web and mobile applications. Additionally, the IoT Platform allows easy control and management by defining simple rules and alerts. 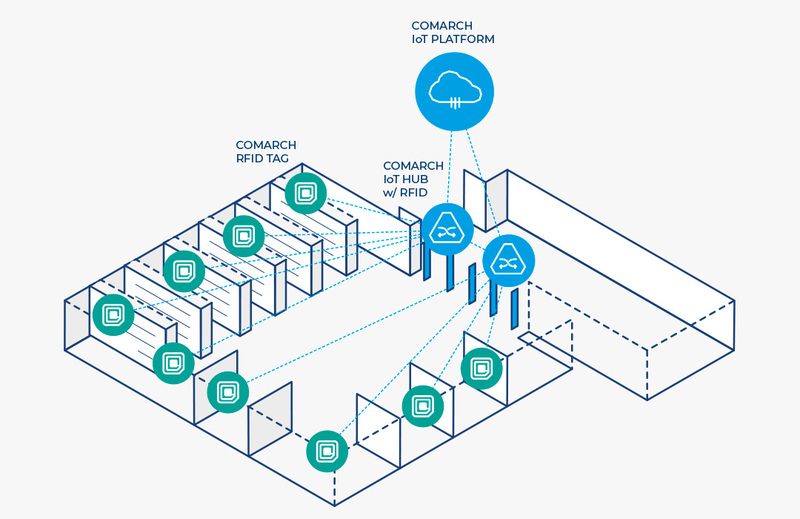 Comarch Beacon/BLE Bracelet is a compact BLE (Bluetooth Low Energy) device broadcasting a radio signal, readable for example by any smartphone. Beacon/BLE Bracelet provides a real-time signal to the IoT Hub, which is a gateway connecting all Beacons to IoT Platform. Beacon/BLE Bracelet can be equipped with additional sensors like accelerometer or temperature making it perfect for tracking sensitive objects. RFID tag is a simple sticker, using passive RFID (radio frequency identification) technology. Passive means that an RFID tag does not broadcast any signal by itself. Each asset equipped with an RFID tag is detectable when it is near an IoT Hub with RFID reader. On sensing the connection, the IoT Hub provides the information to IoT Platform that the asset has been moved outside or within a given area.